I wanted to work on some fun project by only spending a weekend. The fun part of this project is that I have to make a quick design decisions within limited time, and see where it leads to. Before I started the brainstorming, I asked my colleague to join the session. 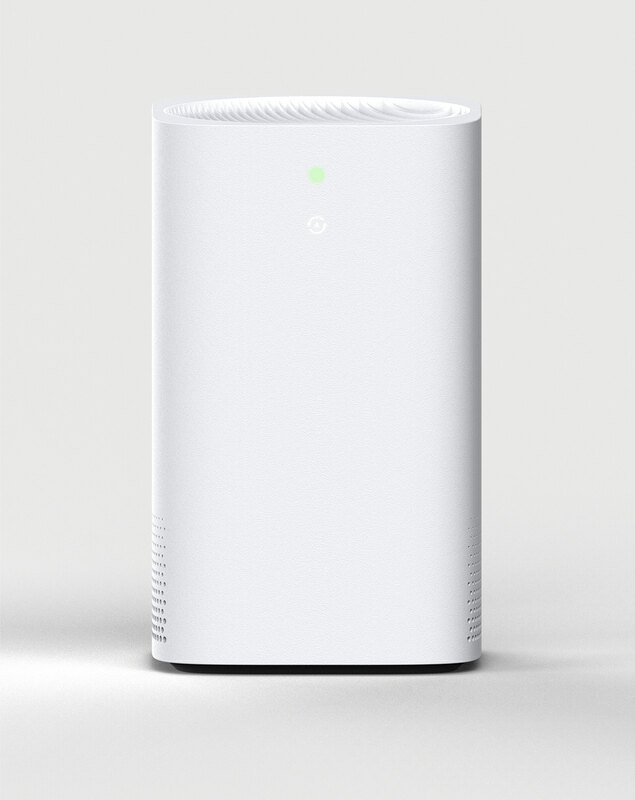 Starting with what air-purifiers can do and what it is, and then addressing problems. While we were posting problems, we started to post opportunities and user experiencing ideas without judging. 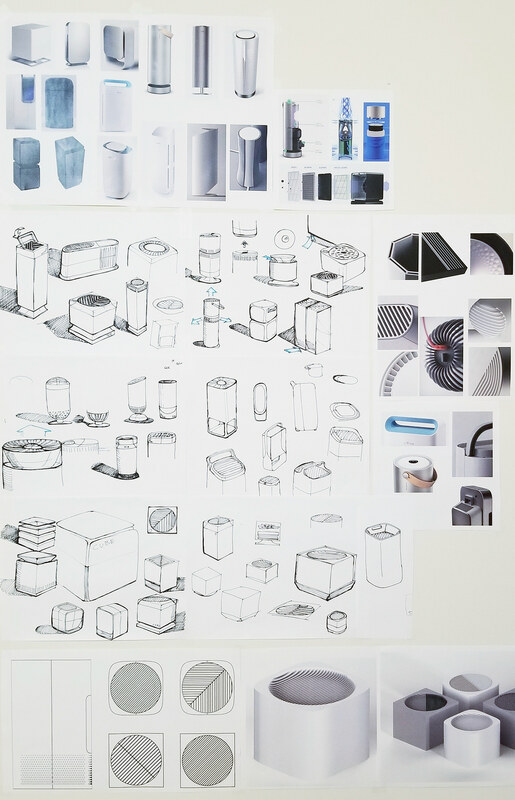 We had an hour pause and did some research on the air purifiers, and then aggressively throwing out ideas onto ideas and UX areas. 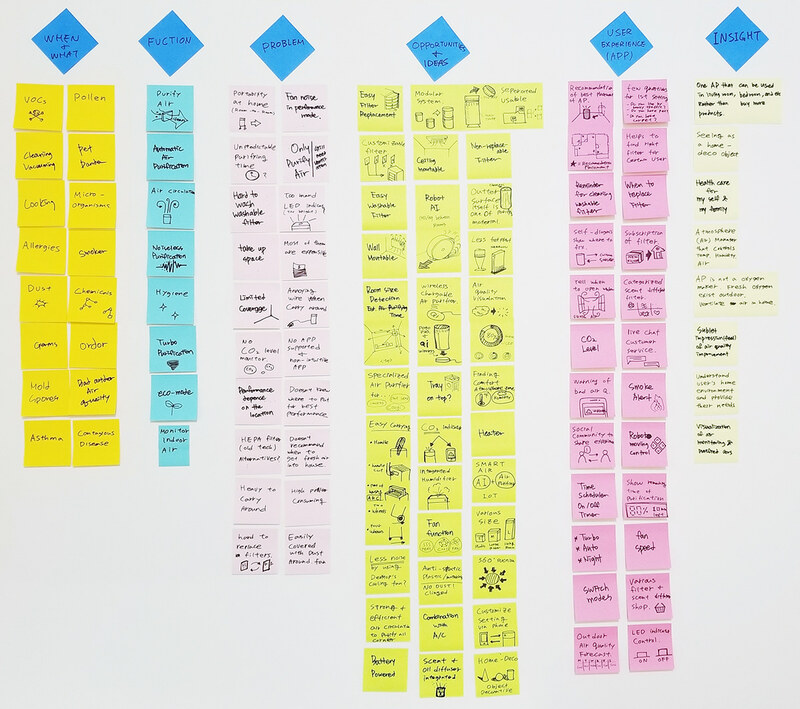 And lastly, we spend 30 mins go over post-its and distilled insights out of it. 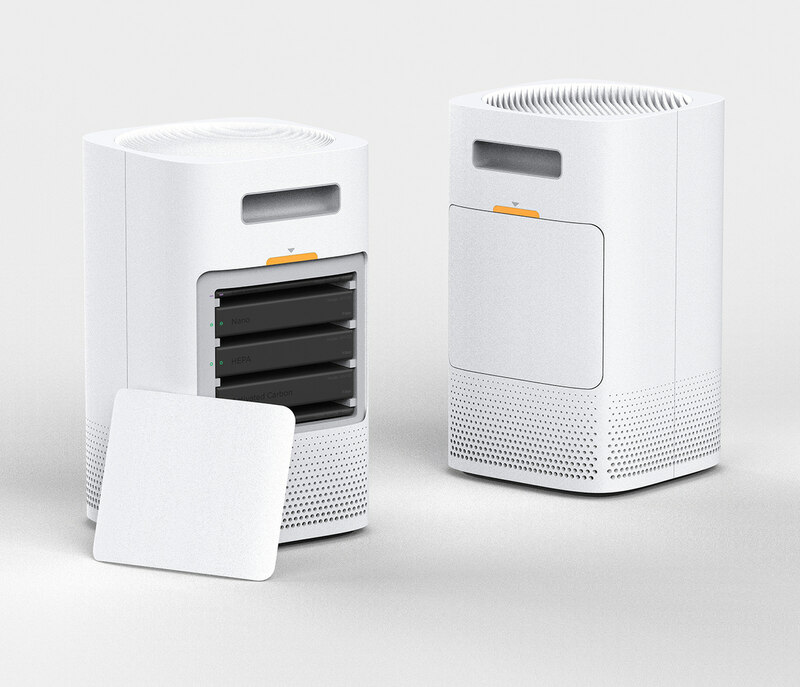 - With better understanding of user and home circumstance, makes better air purifier. - Either Portability or Modular is necessary for a demanding area. For tall tower-like archetype, air flow from bottom to top; and for boxy archetype flows from back to front. It turns out that bottom to top air flow has better air circulation performance. Base on the foundations of brainstorming and research, I started to do quick sketches with envisioning aesthetics with a mood board. 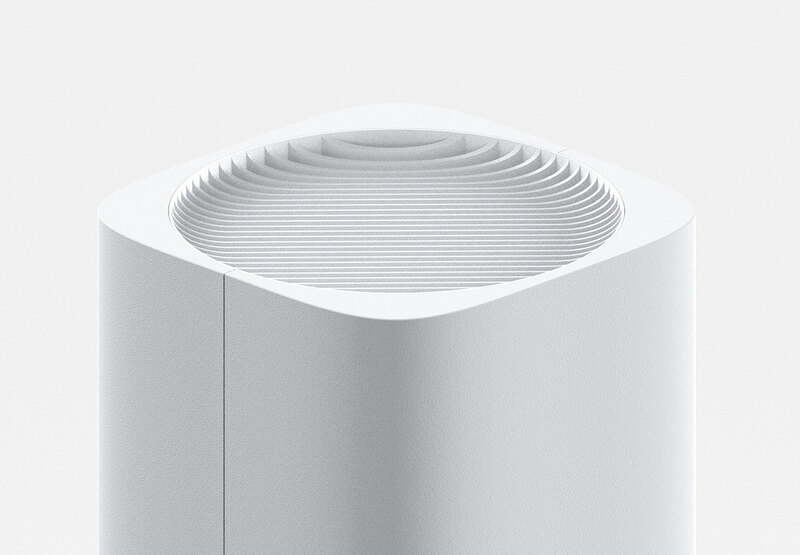 It has a minimal form with all white ABS plastic to imply clean and fresh air. Unlikely other air purifiers, I tried to design this product to perceived as an art object by removing physical buttons, excessive LED lights, and silkscreens. 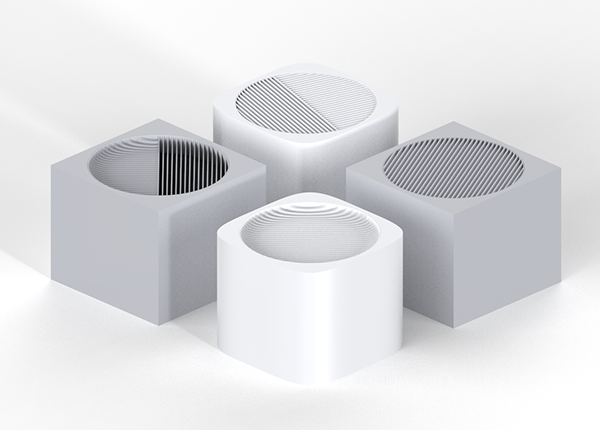 ​​​​​​​For the top fan grill, it has undulated concave pattern which represent soft and well purified wind. Since the LED screen with touch sensor is behind of the plastic cover, it offers soft and warm glow. 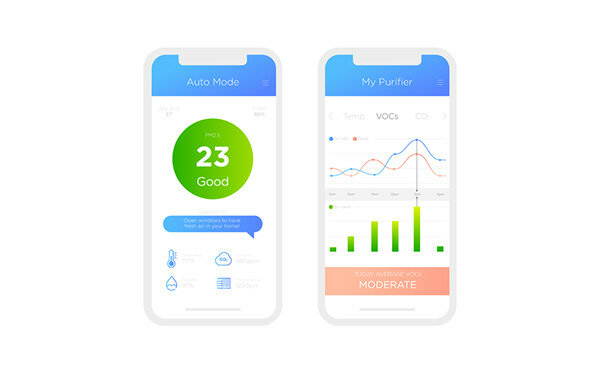 Since all detail information and controls are embedded into the app, the air purifier object itself only contains minimal yet intuitive manner. If there is unacceptable level of VOCs or CO2, it will alert through the LED screen and also to the app. 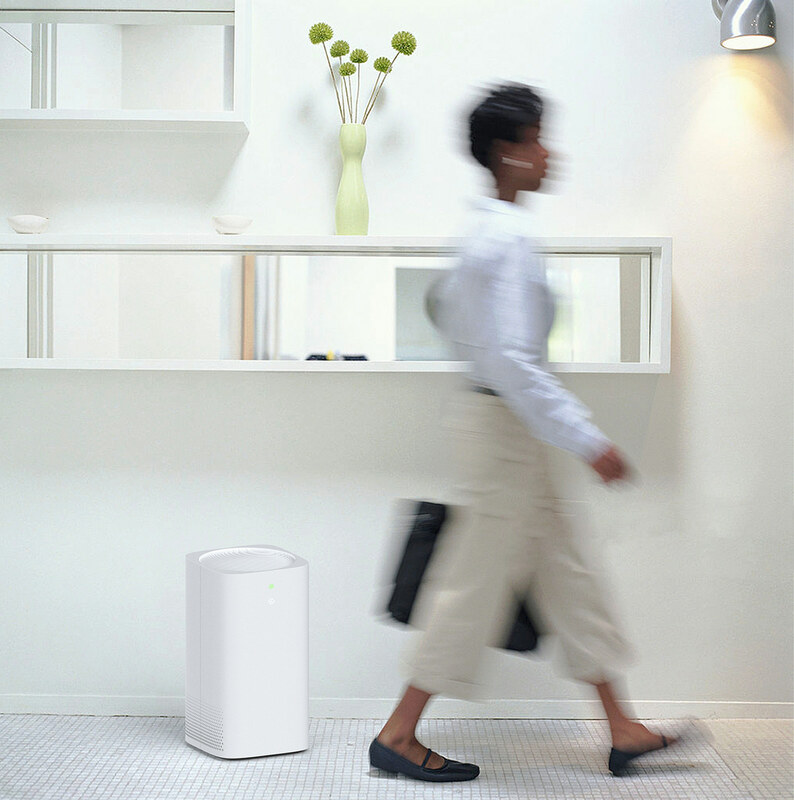 Most of air purifier cannot cover whole area of home, therefore handle on the back allows you to take it anywhere. There are 5 levels of filters and these filters are discreetly selected for each consumers. All 5 slot can be fully equipped for ultimate purification (eg. home near by big streets with cars) or could be less filters. This professionally selected filters allows to offer well-fitted air purifier to customers. Also, there are unique hierarchy symbols on the filters to help users where to insert. 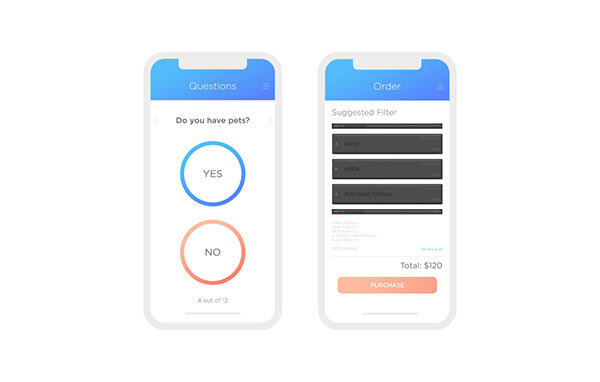 Before helping user to select filters, the app starts with set of questions to understand circumstance of user's home. After that, it matches with the best filter options for user and delivered straight to home. 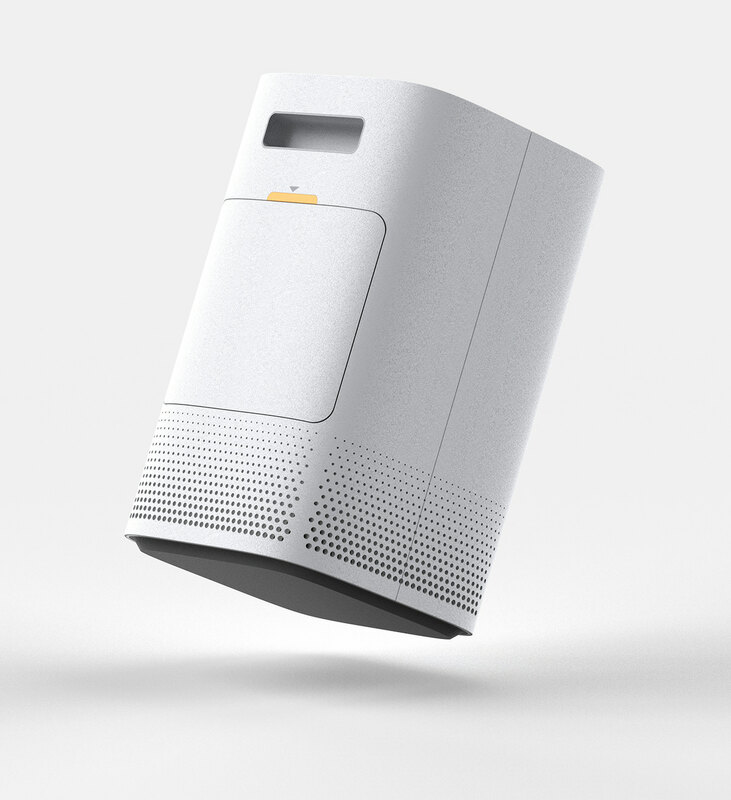 Full control of air purifier and detail information of air quality, and notifications for some suggestion such as "Open windows and have fresh air into your home!" It is like a smart assistance that offers some tips to keep good air quality at home. 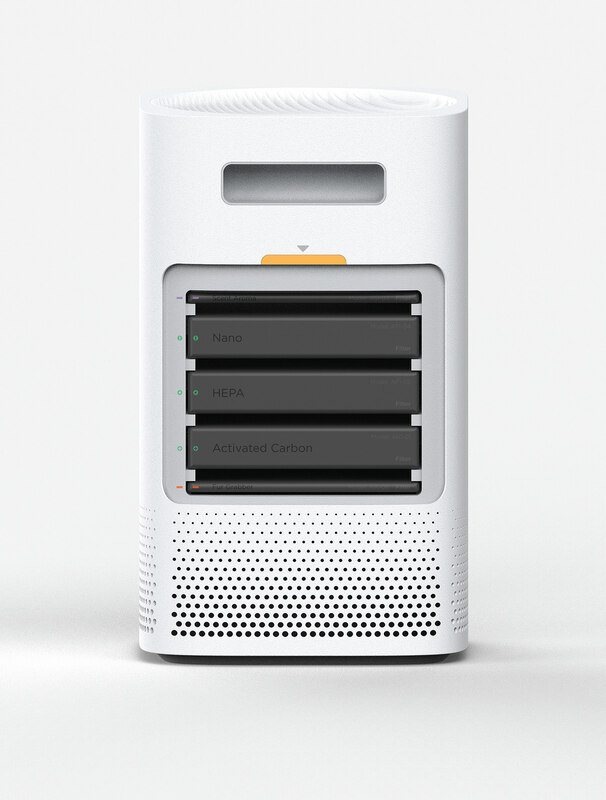 Overall app design has clean and carrying same design language of the air purifier.